As we prepare for another year with the Xtend soybean and cotton system, we thought it would help to briefly summarize some of the most important things we've learned about dicamba as a result of the research our outstanding graduate students have conducted over the past several seasons. Dicamba Can be Detected in the Air Following Treatment. This isn't really any grand "new" finding; we've seen this trend in graduate student Shea Farrell's research for the past two seasons. But Shea is now finished with all his experiments, and his results clearly show that concentrations of dicamba can be detected in the air following on-label applications of the approved dicamba products (Xtendimax, Engenia, and Fexapan). In other words, there is volatility of these herbicides. The real questions the industry should be asking are: 1) how much volatility results in off-target injury, and 2) can we do anything to minimize it? Shea's results have also shown that highest dicamba air concentrations occur within the first 8 hours or so after application (Figure 1). He has also found that higher dicamba air concentrations will occur if applications are made in the evening during stable conditions that favor temperature inversions compared to applications made during the day in unstable, non-inversion conditions (Figure 1). However, in every experiment Shea has conducted for the past two seasons, dicamba was detected in the air for as many as 72 hours after the initial application. 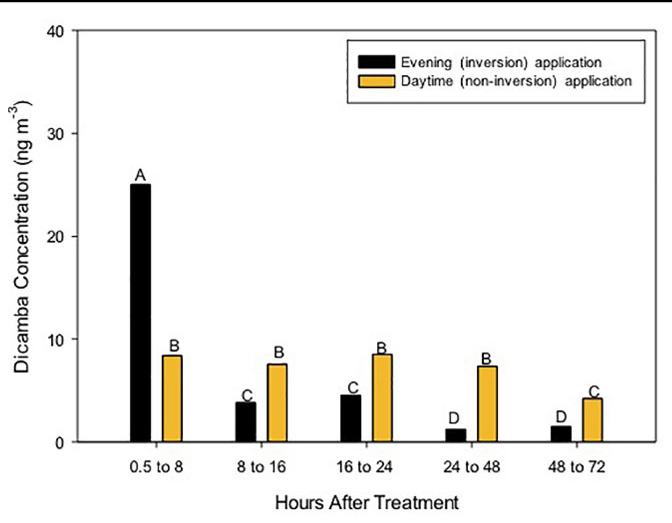 Figure 1 Dicamba air concentrations following application during evening, inverted air temperature conditions (black bars) and daytime, non-inverted air temperatures (gold bars). The addition of Glyphosate (Roundup PowerMax, etc.) Matters, and Spray Tank pH Matters. In the past year, the results from several university weed scientists have shown that the addition of glyphosate to an approved dicamba product will lower the pH of the spray solution. 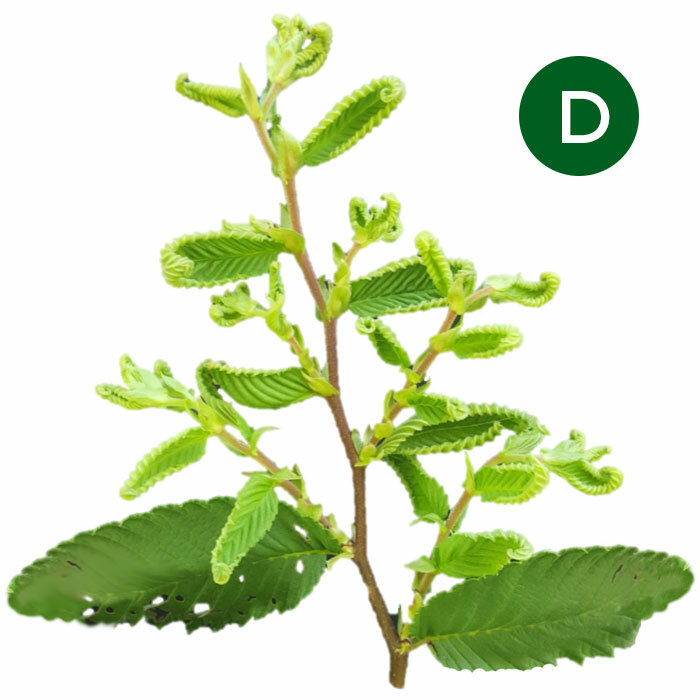 If the spray tank pH becomes too low, it is possible that dicamba can dissociate to the acid form which is the most volatile form of dicamba. This is the reason for the statements that were added to the 2019 labels such as "Knowing the pH of your spray mixture and making the appropriate adjustments to avoid a low pH spray mixture (e.g., pH less than 5) can reduce the potential for volatilization to occur." Soil pH Matters. We have another graduate student in our program, Eric Oseland, who is investigating the effect of soil pH on dicamba volatility. Eric conducted two experiments last year and will be doing the same again in 2019. Thus far, Eric's research shows the lower the soil pH, the more volatility there is with the approved dicamba formulations (Figure 2). While it may be that dicamba volatility from the soil surface may not be as significant of a contributor as volatility from leaf surfaces, we believe it is still an important piece of the puzzle that should be recognized. 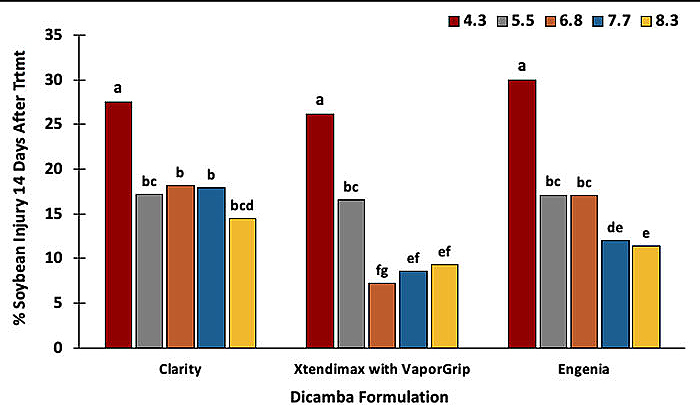 Figure 2 Influence of soil pH and dicamba formulation on soybean Injury as a result of volatility. Results are combined across two experiments conducted in 2018. Bars followed by the same letter are not different. Temperature Inversions are Common. Last week we published an article, What Have we Learned From Four Years of Studying Temperature Inversions?. That article contains a summary of our research on temperature inversions and how it relates to dicamba applications. So if you haven't read that article yet, please click on the link above and go check it out now. Burndown Applications of Dicamba Products Can Still Cause Problems. 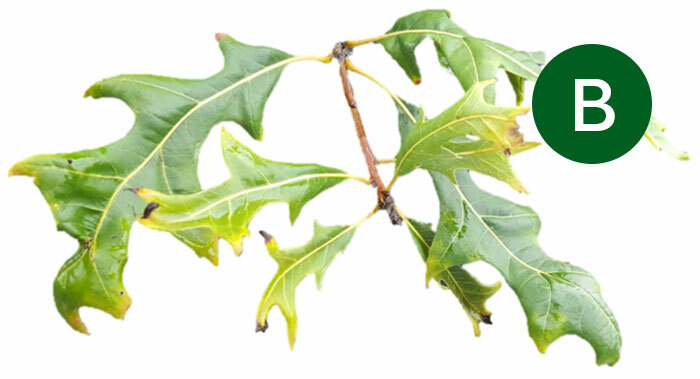 We've been on record in numerous articles and presentations over the past several seasons as saying that these herbicides are less likely to move off-target and cause injury when they are applied as a burndown in April and May. And we still believe this to be true; especially with regard to the likelihood of injuring your neighbor's non-Xtend soybean. However, less likely doesn't mean not possible. Last season, we received more calls and complaints in April and May about off-target dicamba movement to specialty crops and trees than at any other time during the season. 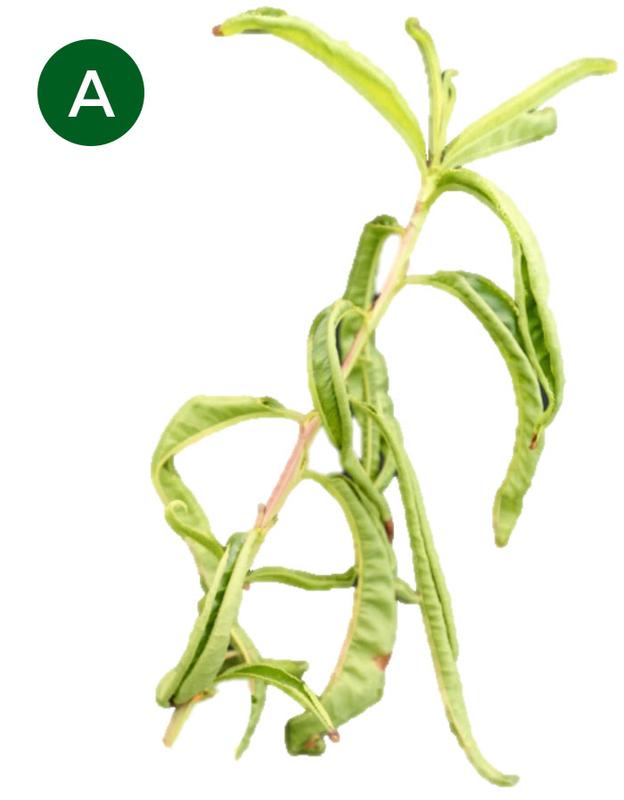 It is also probably worth mentioning that bud break and leaf unfolding typically occurs during April in many tree species, and therefore these species can be especially sensitive to off-target movement of dicamba at that time. 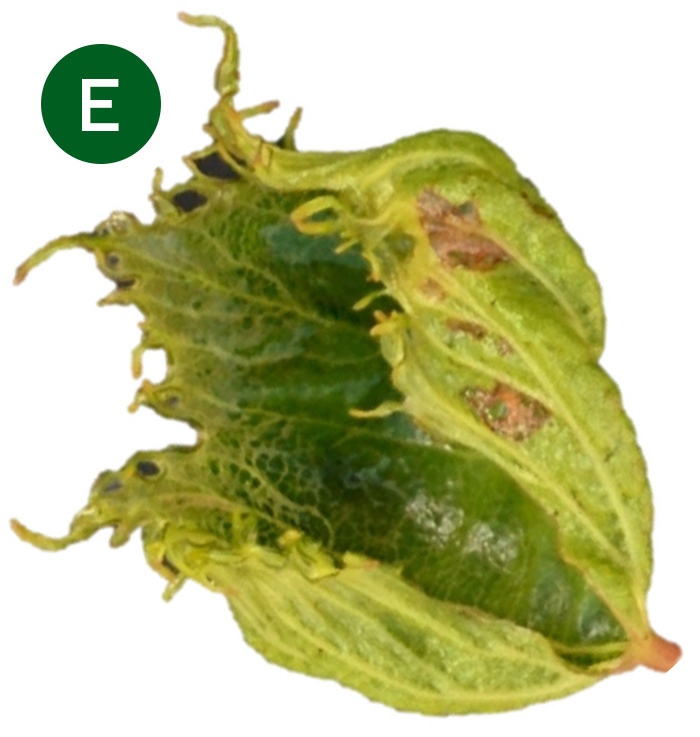 Graduate student Brian Dintelmann's research on the effects of driftable fractions of dicamba on common tree fruit, nut and ornamental species also shows that there are certain species that are especially sensitive to off-target movement of this herbicide (Figure 3). 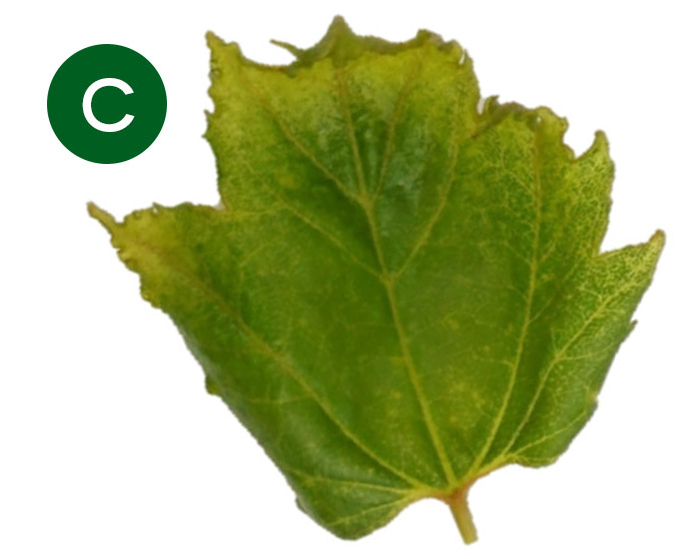 Figure 3 Response of peach (A), pin oak (B), maple (C), elm (D), and grape (E) to 1/20th of the standard use rate of dicamba (0.025 lb ae/A) or dicamba + glyphosate (0.025 + 0.05 lb ae/A). This rate is representative of what can occur during a physical drift event.